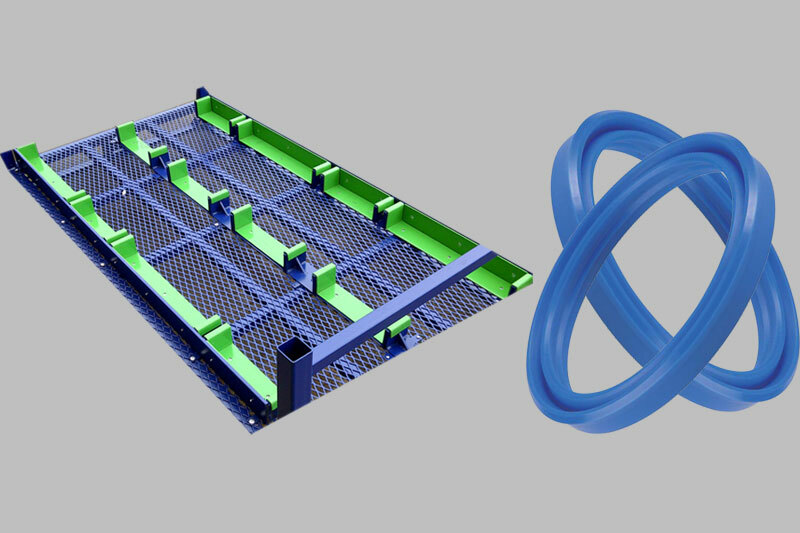 Product type includes fixturing, rack supports, separator bars, conveyor hooks, support brackets, cushion bumpers, and custom molded dunnage parts. 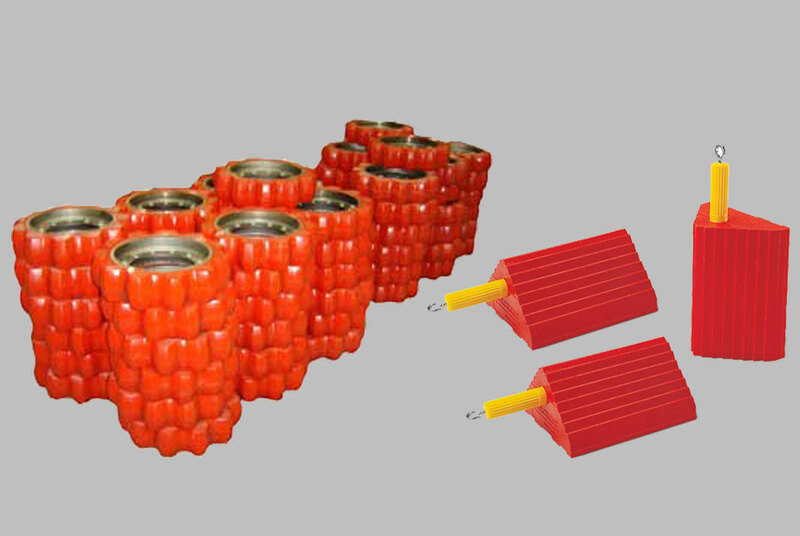 Urethane Dunnage parts are durable, non marking and long lasting over urethane foam dunnage and are better suited for use in automated production systems reducing FOD on the plant floor. 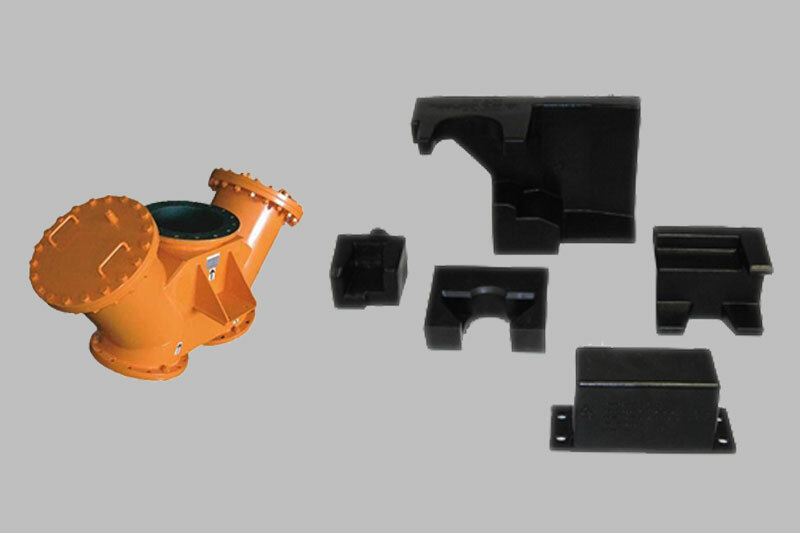 The Dunnage fixture pattern is molded by using an original or prototype designed part. Once the fixture pattern is furnished then tooling can be made depending on production assembly. 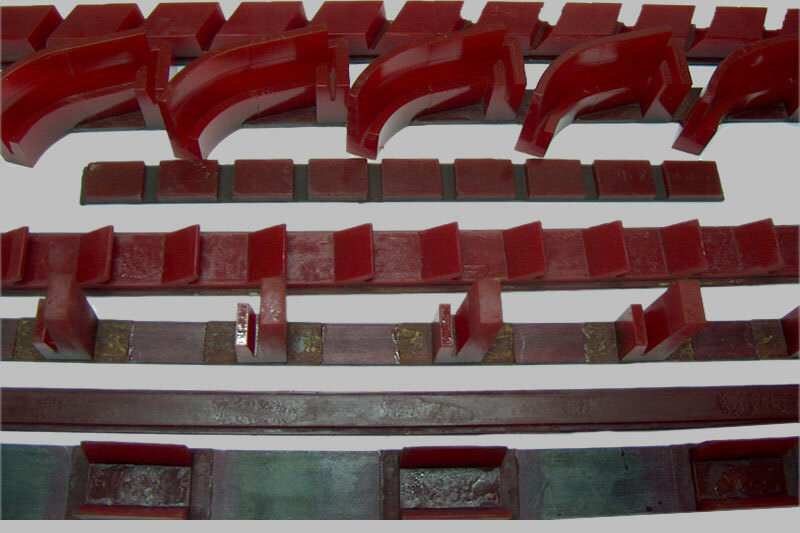 Urethane Dunnage is used to hold a part in place while in the assembly process or during shipping of the component. Cast urethane is superior to foam urethane. 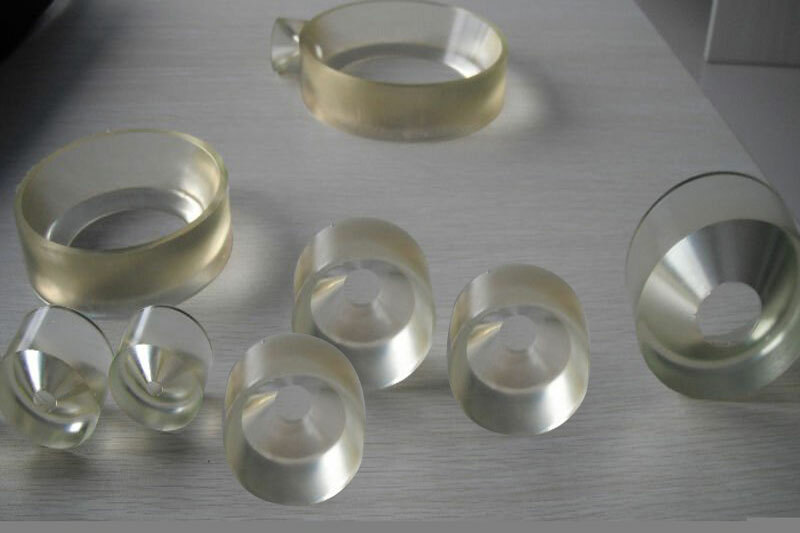 Solid urethanes have desired physical properties and integrity homogenously through the urethane; foams integrity and physical properties are compromised if the this "skin" is cut. Solid urethane is the preferred choice for dunnage especially where extreme environments, heavy loading and longevity are factors. Urethanes have excellent abrasion resistance outwearing metals, plastics, and other rubbers 8:1 or more. Generally, the harder the urethane the lower the coefficient of friction. 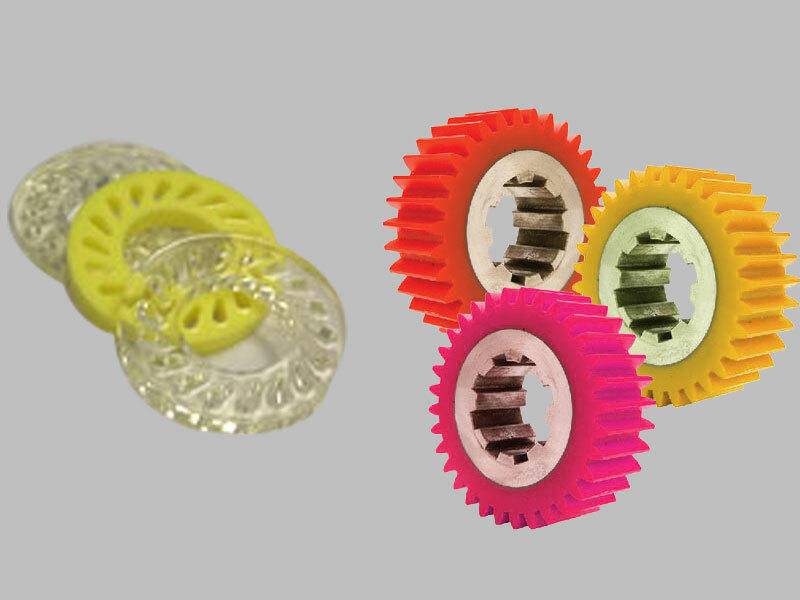 Lubricants can be added to urethane to make them more slippery without compromising the urethane properties. Softer urethanes (50A-85A) are best for particle impingement applications. Mid-range urethanes (80A-95A) of medium resilience last longest in abrasive applications. Hard urethanes (90A-95A) work best in impact and sliding types of abrasion applications. Very hard urethanes (60D-75D) work well in bearing and bushing applications. 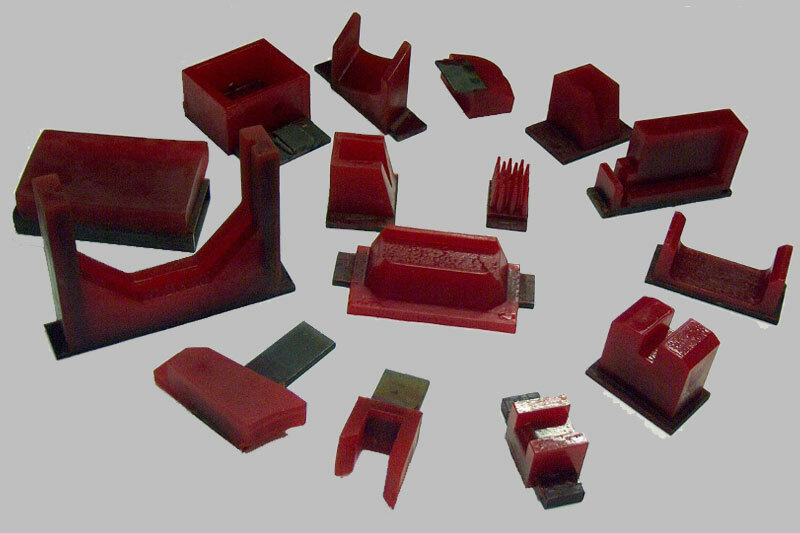 During the molding process, solid urethane can be attached permanently to metals and composites with bond strengths exceeding the tear strength of urethane. 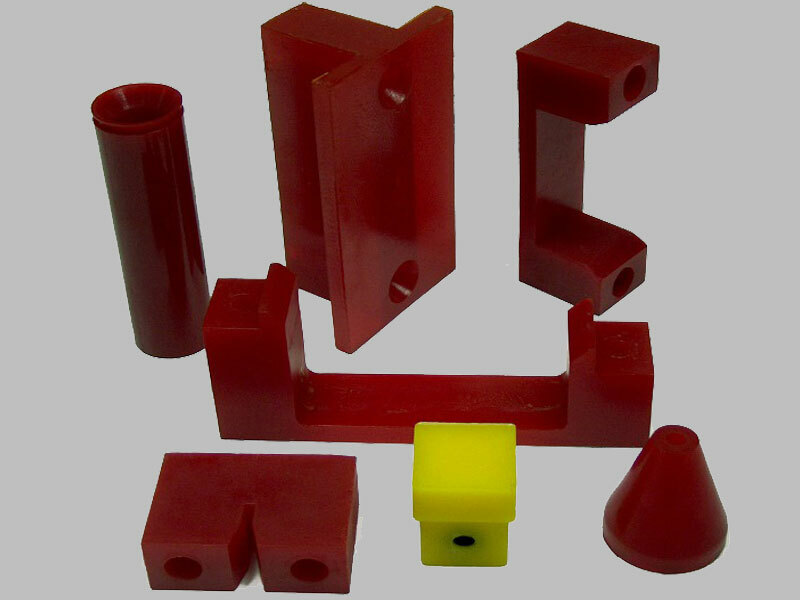 Solid urethane can be cast or machined with tapers, chamfers, grooves, and other surface configurations. Solid urethanes behave like incompressible hydraulic fluids, where under load they do not change volume. 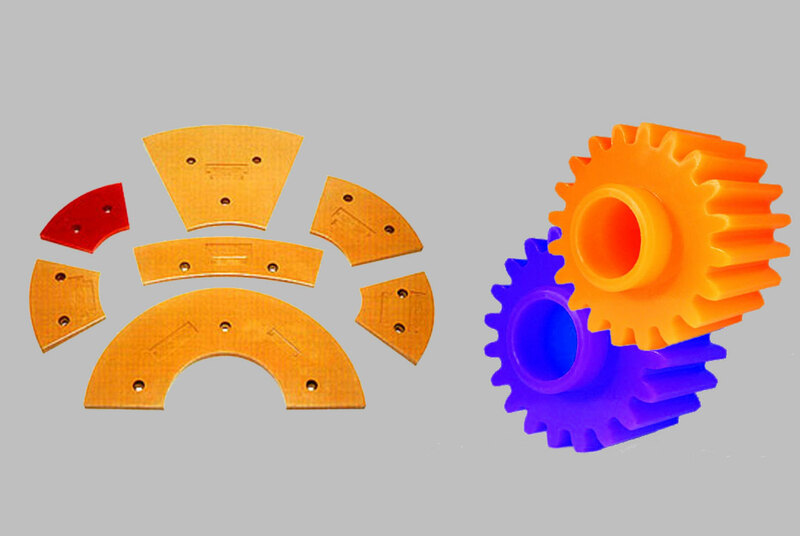 We will help you determine deflection based on design, material selection and load. Urethanes have resistance to oil, water, weather, ozone, oxidation and many chemicals. Some are even radiation, fungus and bacteria resistant. 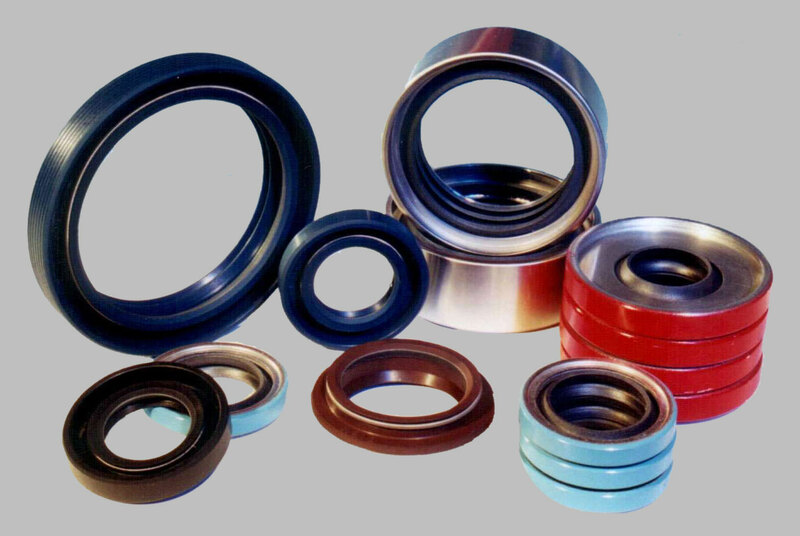 They have high tensile and tear strength compared to other types of rubbers, along with outstanding abrasion resistance compared to metals, plastics and rubbers. Solid urethanes have higher load bearing capacity than other rubbers, and higher impact resistance and resilience than plastics. Solid urethanes have excellent retention of properties at very low temperatures and at temperatures up to 220°F, or where bonded to metal to 160°F. 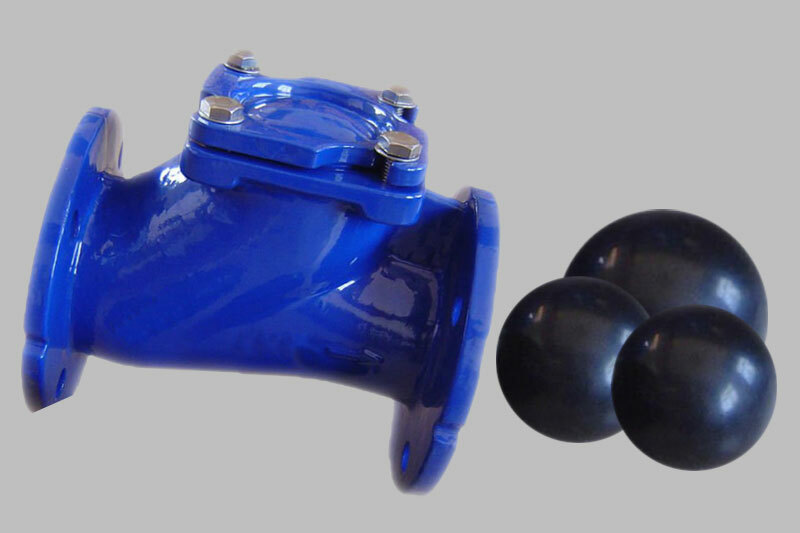 Solid urethanes have deflection and recovery capabilities unlike any other plastic or metal. Solid urethanes can be deformed without breaking; recovers quickly after repeated deformation; deformations can be proportionally large to the original dimensions; large deformations are produced with low stress levels; desired stress-strain properties can usually be obtained by compound blending; stress-strain characteristics are not linear, so urethanes become stiffer with greater deflection and velocity of impact.